I am back today with 3 other Northern Star Polishes for you! If you'd missed my review on Berry Much In Love and Lettuce cuticle oil, click here! Today, I will be showing you Mullberry, Carnivale and Peacock Party that is part of Northern Star Polish's current collection! These are all 2 coats of Mullberry with a layer of Duri Rejuvocate (base coat). At first, I left it without a topcoat. However, I wanted to see the look with top coat over it, so I used one coat of Glisten and Glow's HK Girl topcoat on it! I personally prefer that glossy-ness over the Mullberry. Just look at it shine! It is a light pink holo polish! It is much girly as compared to "Berry Much In Love'. The holo in the polish is also not as strong as "Berry Much In Love". I find this color very sweet and adds a sense of feminine touch to any lady who has these on her nails. I would imagine myself using this for a my first date out or even on Valentine's day! I have 1 coat of Duri Rejuvocate (used as a base coat), followed by 2 coats of Carnivale with no topcoat. Lastly, we have Peacock Party. This is my personal favourite out of the four polishes that I have received. Why? Im a lover of blue (or teal) polishes! Plus, its a holo polish! Also, I think that the polish name is very apt, I am reminded of the peacock feathers I used to get from the my school excursions when I was young. 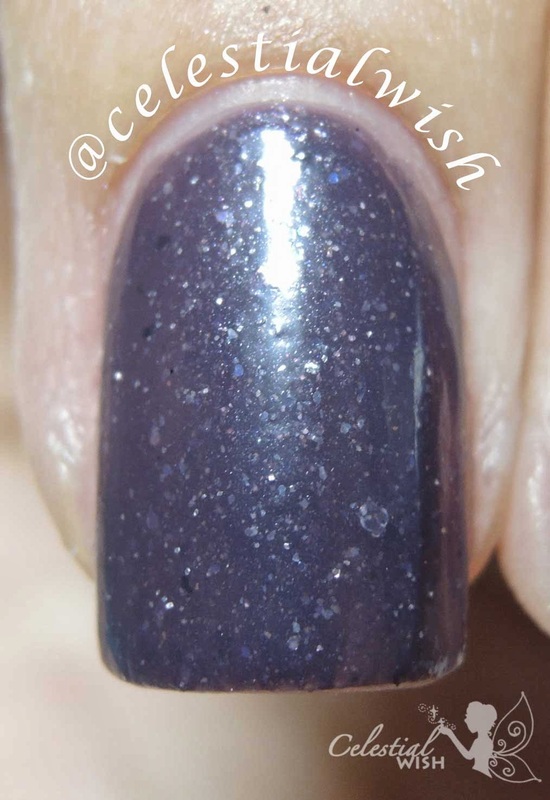 As all other Northern Star Polishes, it's consistency is more towards the thicker. So for those who prefer thicker formulas, Northern Star Polish is the way to go! Those who prefer thinner consistency can just add in 1-2 drops of thinner :) However, do note not to add too much thinner as it will ruin the polish in the long run.It has a really fast drying time. The polish is 4-Free (No Formaldehyde, NO Dibutyl Phthalate (DBO), NO Toulene, NO Formaldehyde-Resin). It is also vegan and cruelty-free. Well, that just adds on to the pros of purchasing Northern Star Polish's polishes! If you are seeing this, do note that Northern Star Polish is offering up to 20% off (no discount code needed) up till 31st March 2014. This is part of her 2nd Anniversary Sale! The prices of her product has all been marked down :) So what are you waiting for! Start shopping! Disclaimer: This product was sent to me for an honest review. All opinions are my own and may differ from yours. Although I do my best to take photos that accurately display the color of the polish, please note that computer screen settings may vary, causing the polish to look different.